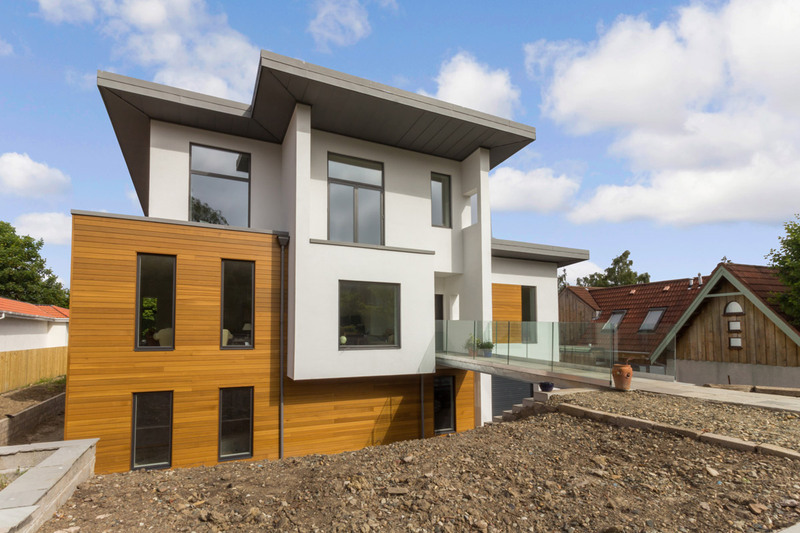 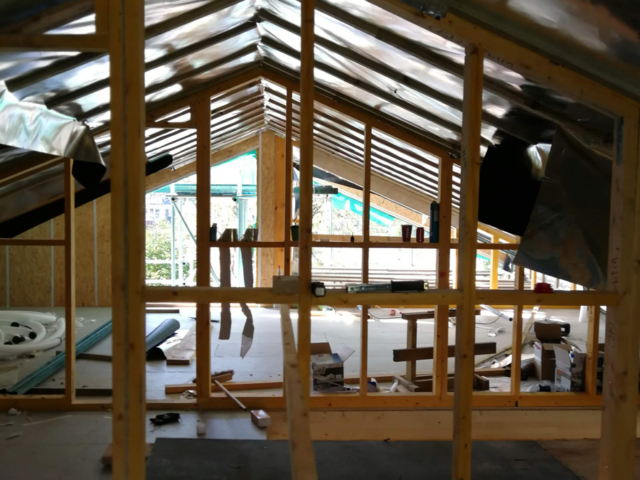 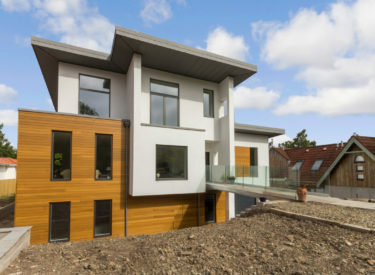 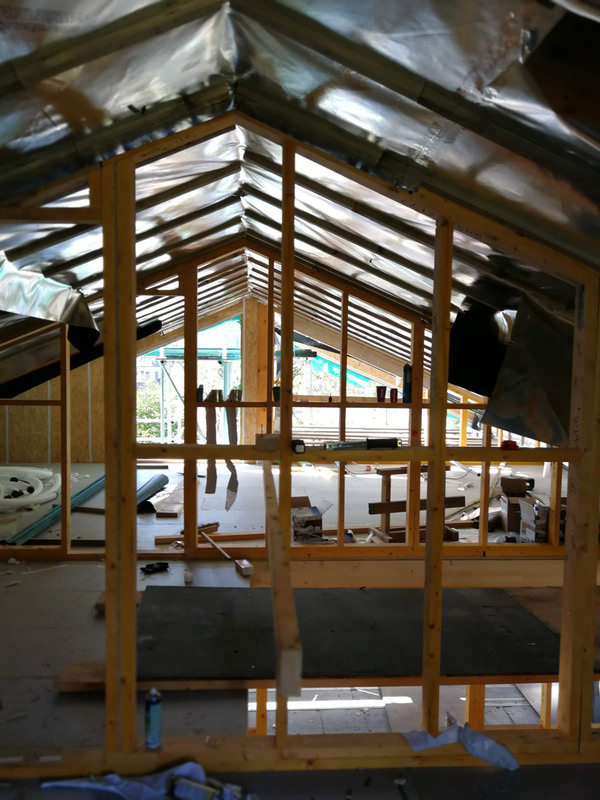 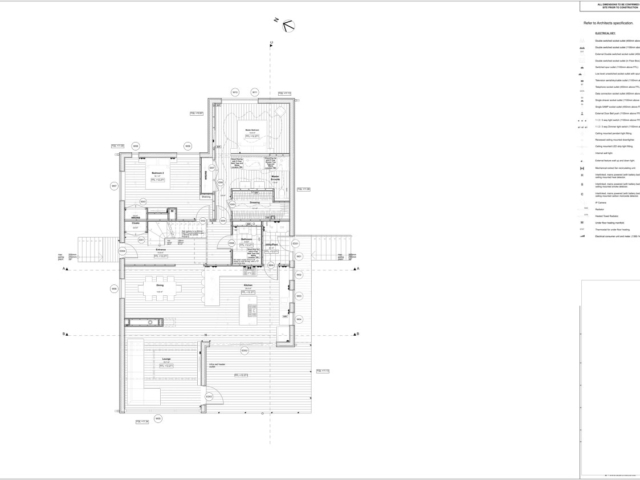 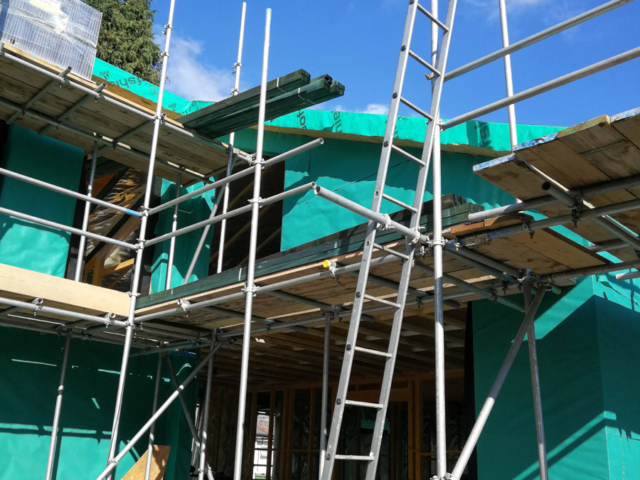 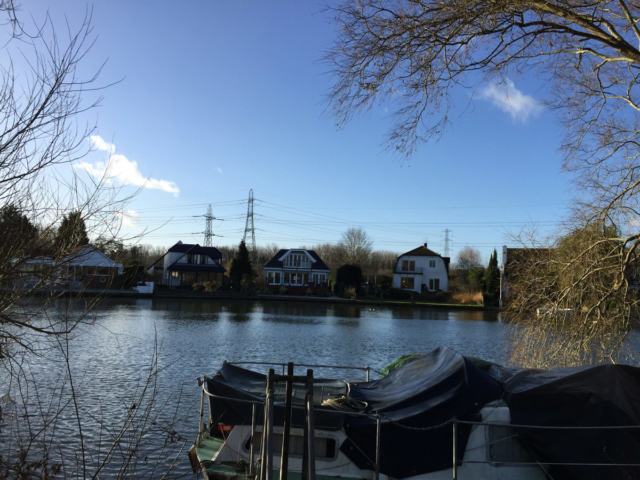 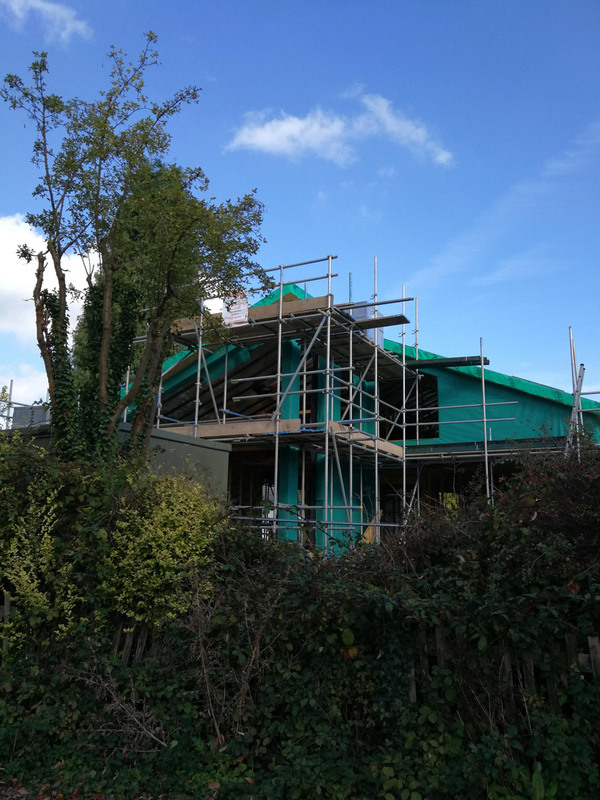 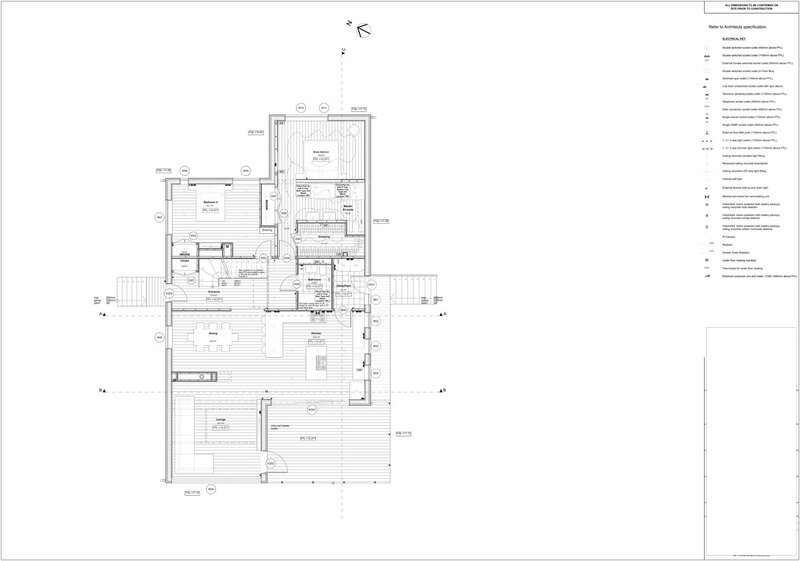 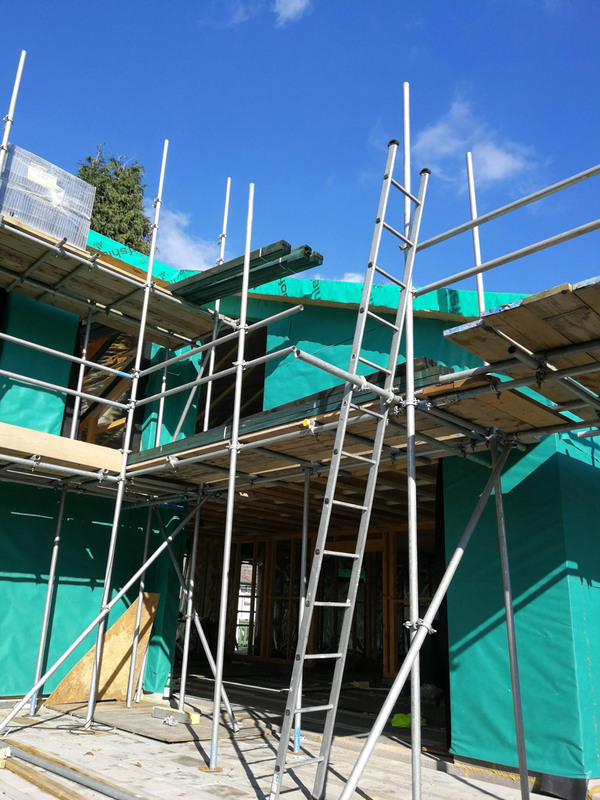 In late 2014 ACA were contacted to review the possible redevelopment options for a run-down house overlooking the Thames, with a view to creating a Huf Style Self Build House in Shepperton. 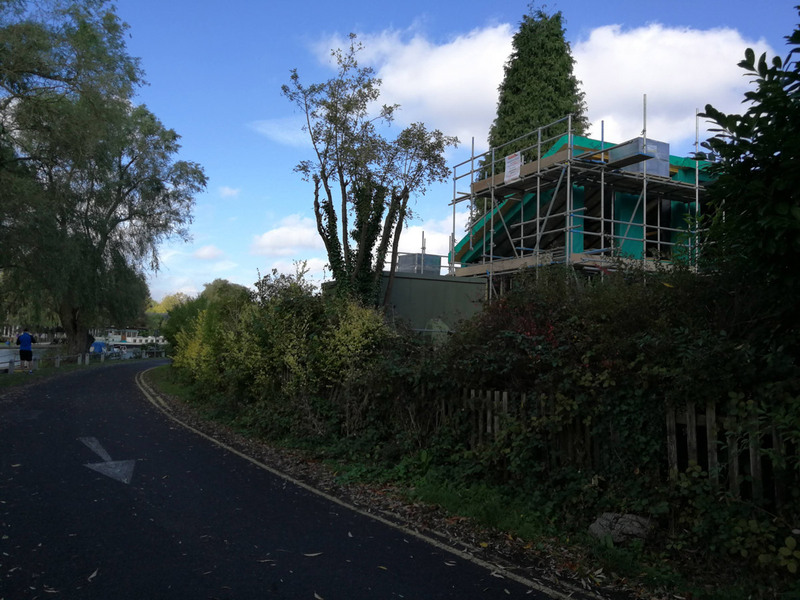 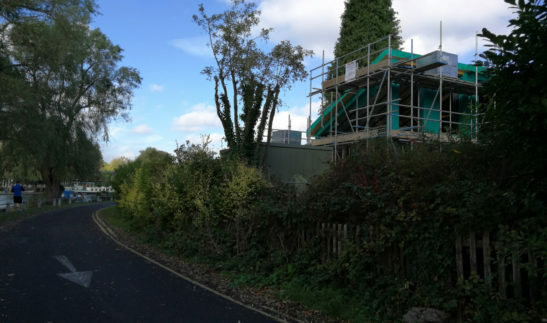 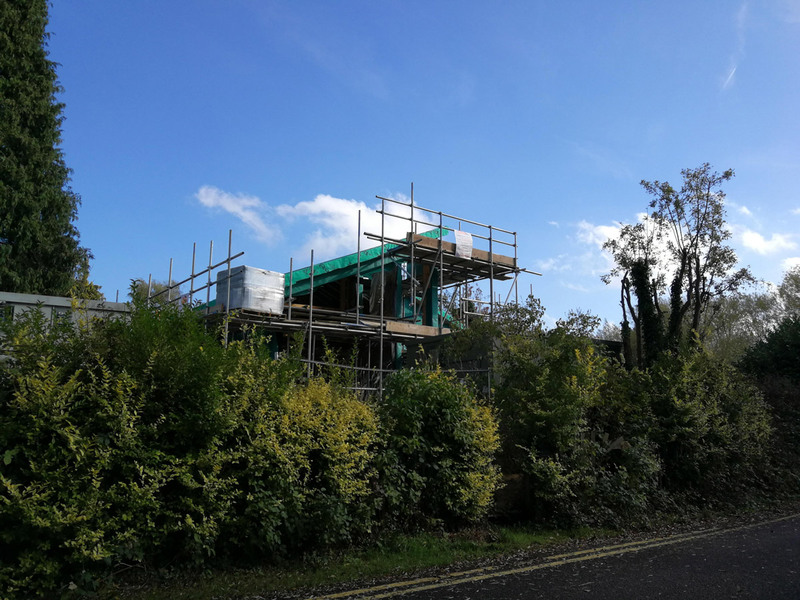 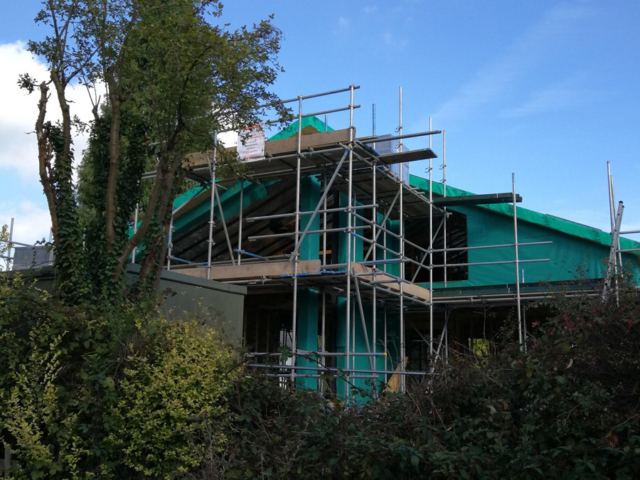 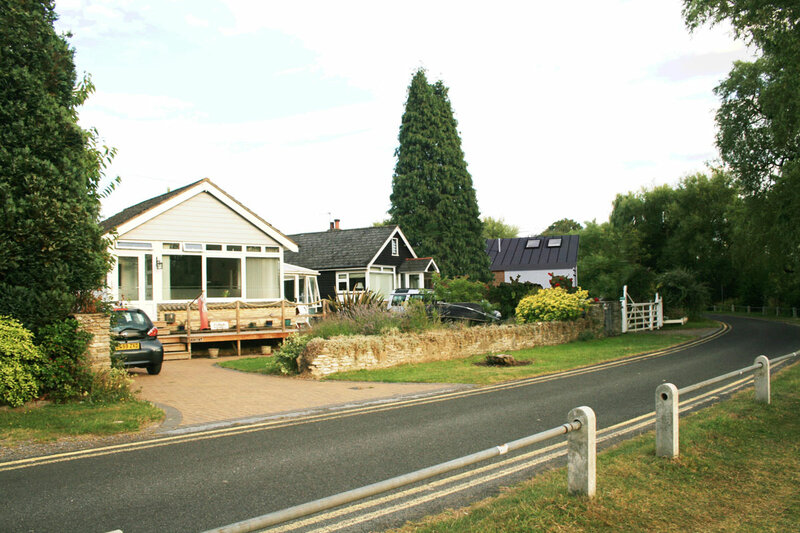 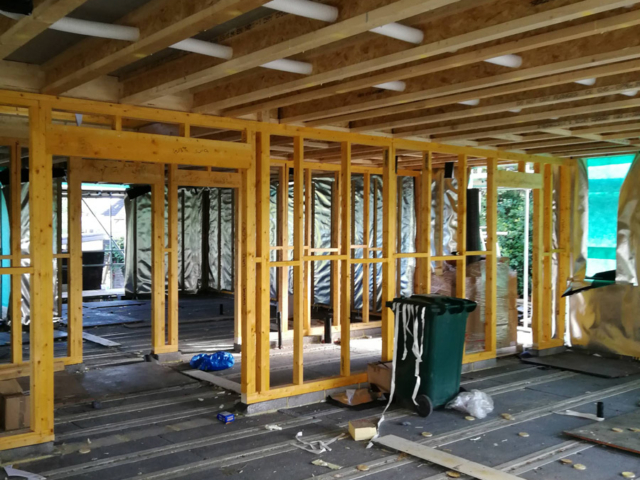 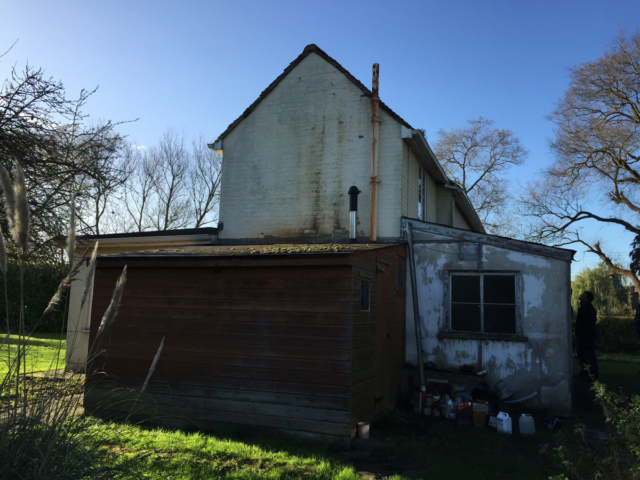 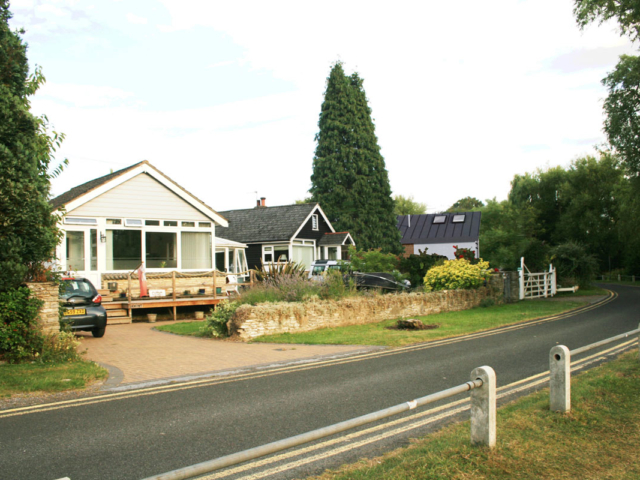 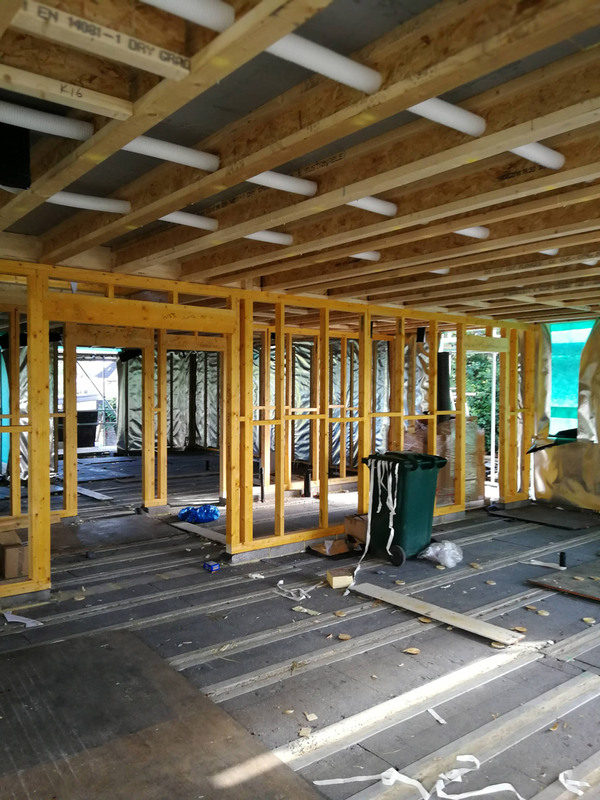 Due to the site’s sensitive location (within a Greenbelt and Plotland area), a local planning consultant was consulted – it was decided that demolition of the single storey building and replacement with a 2 storey dwelling was possible. 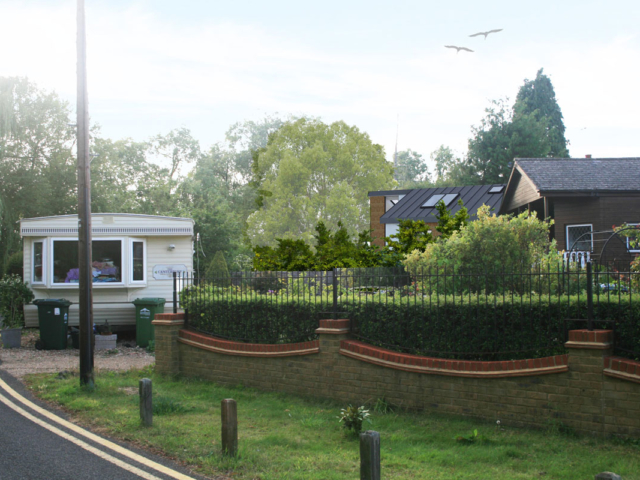 Over the following 2 years, various design options were proposed and reviewed with the local planning team. 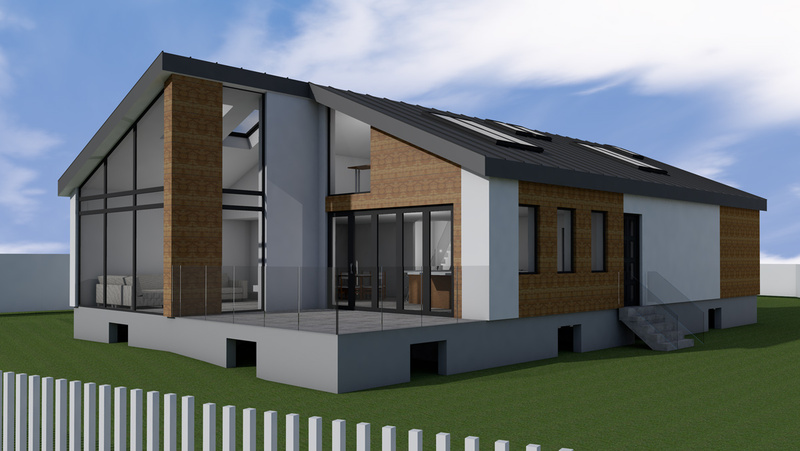 In order for the redevelopment to make financial sense and suit the client’s needs, a larger more contemporary design was required. 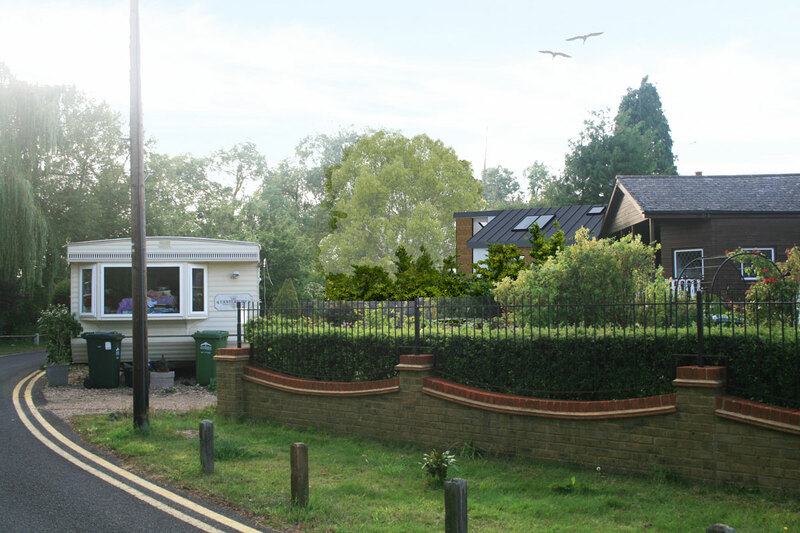 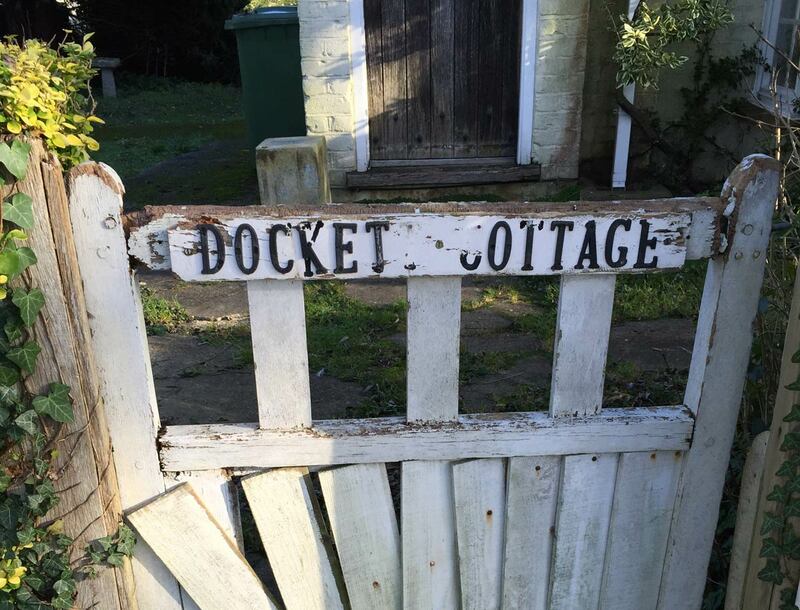 This was seen as contentious with the planners and was not supported in an initial planning application. 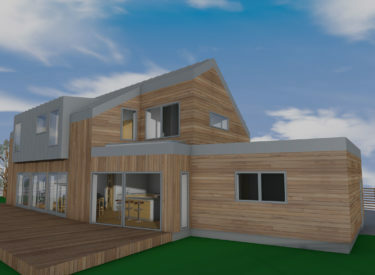 A second planning application was submitted based on a revised design, this again was refused. However, with a second planning consultants review, it was clear that on appeal the current design should meet the planning guidelines. 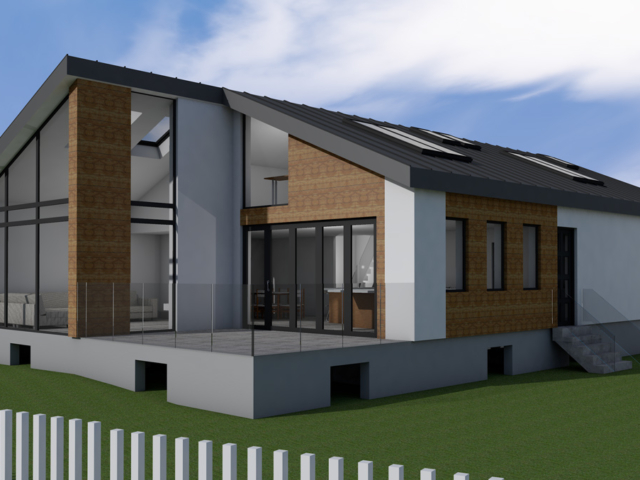 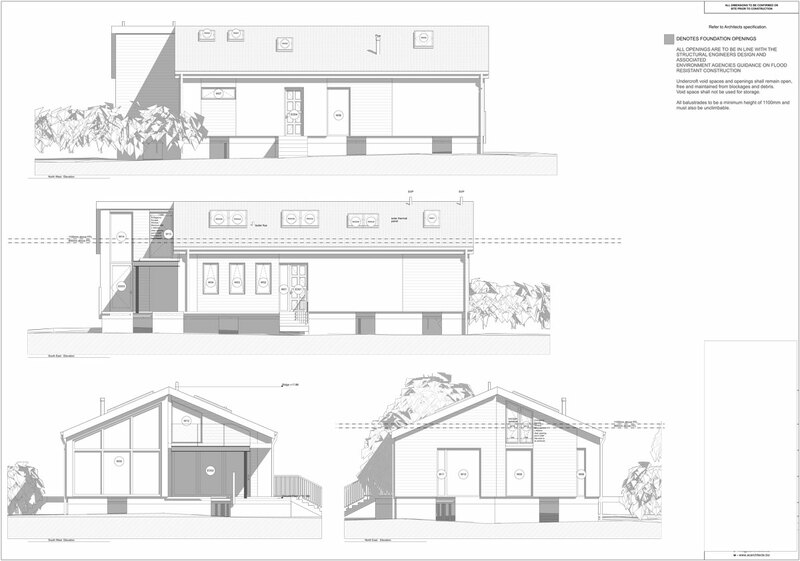 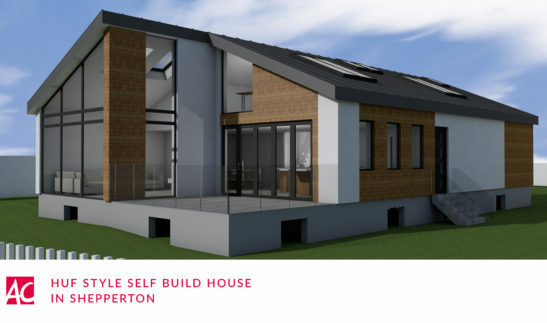 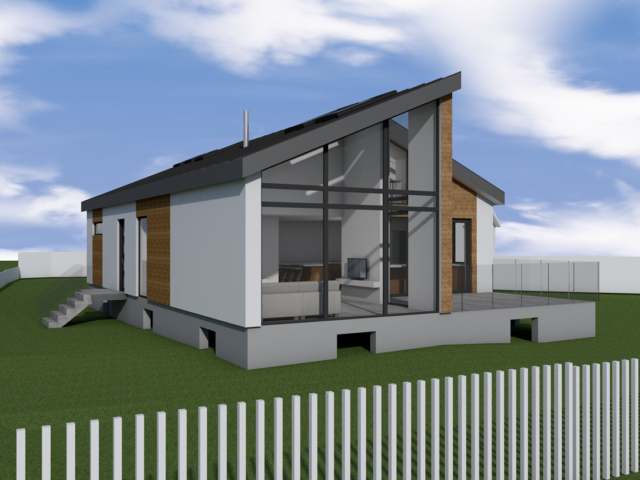 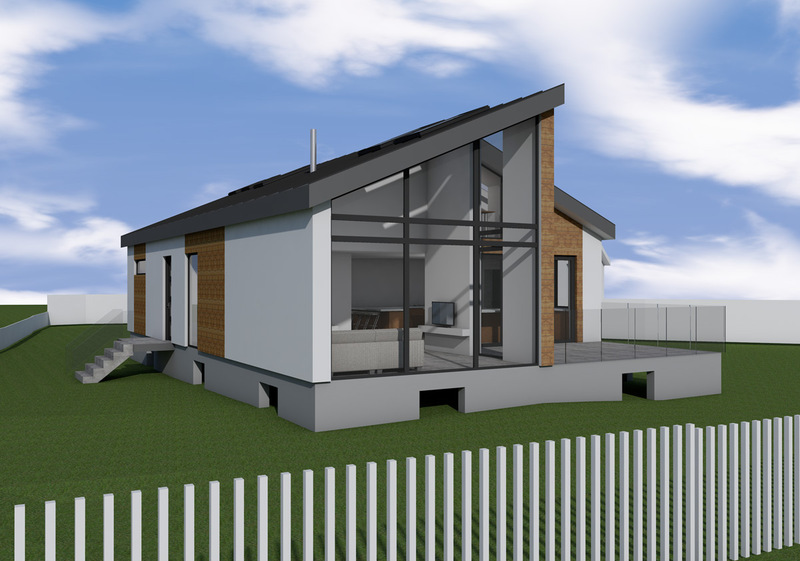 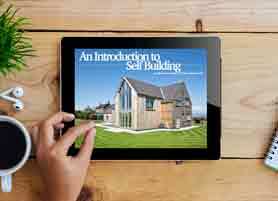 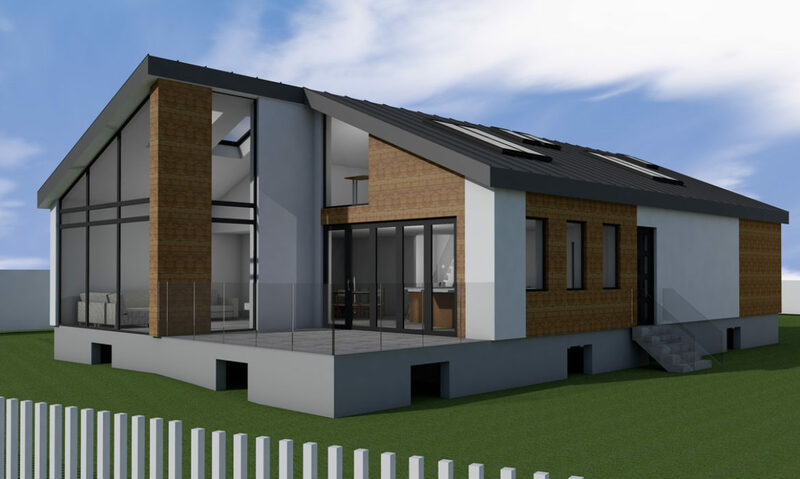 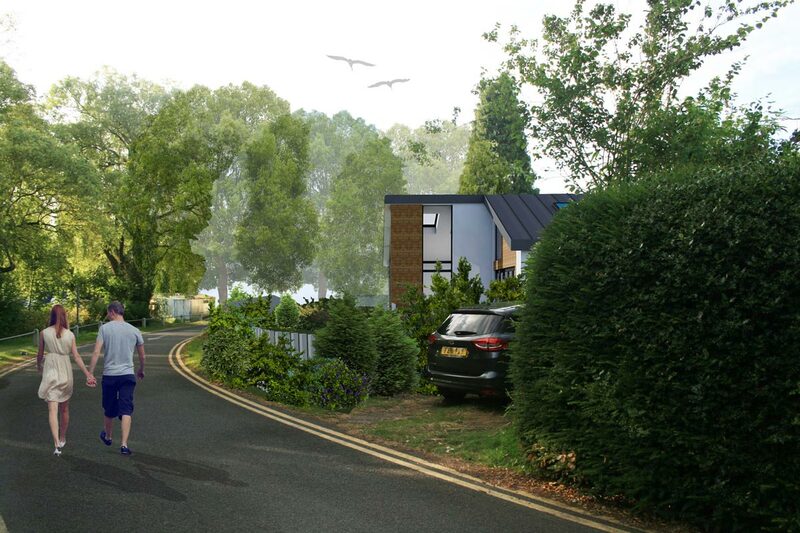 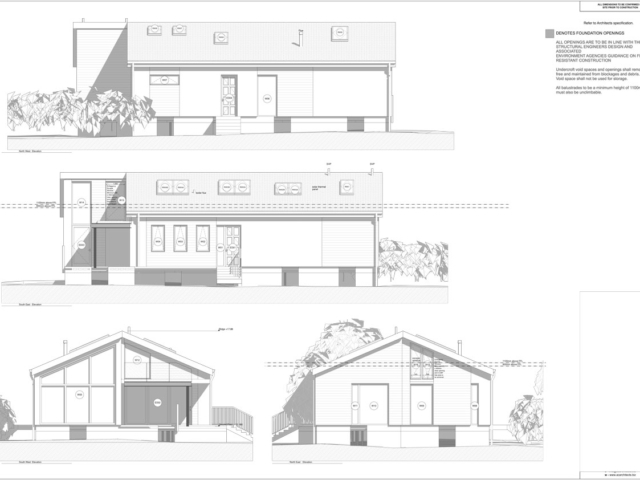 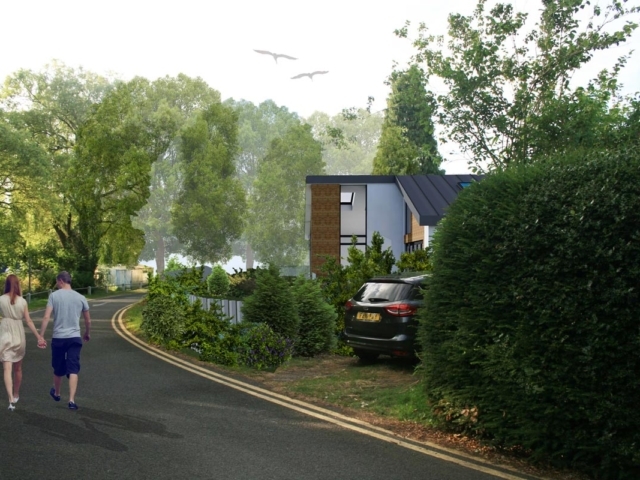 In September 2017, the planning appeal was successful for the proposed contemporary Huf Style Self Build house. 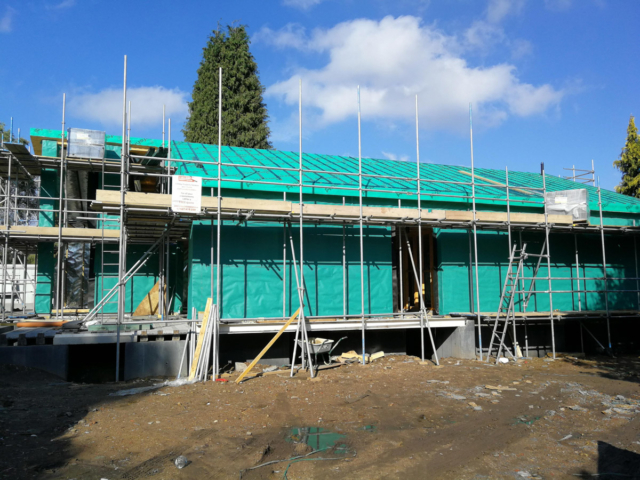 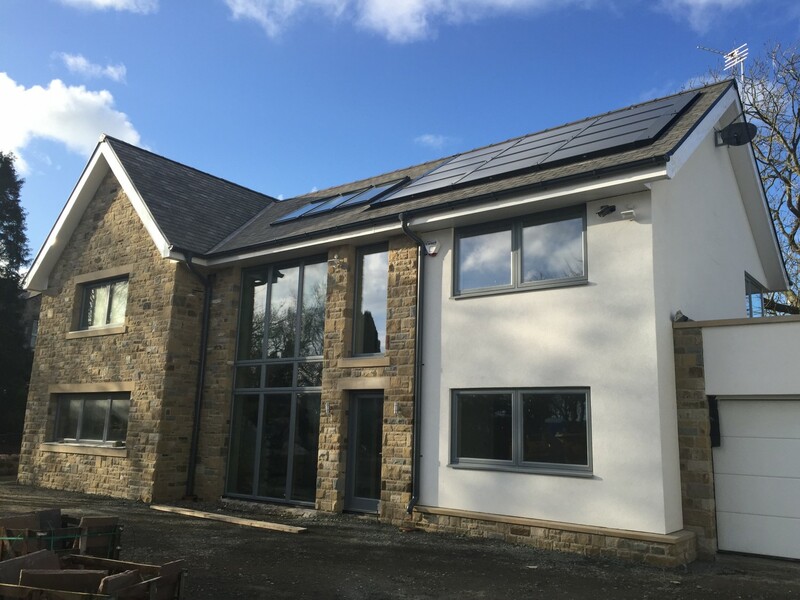 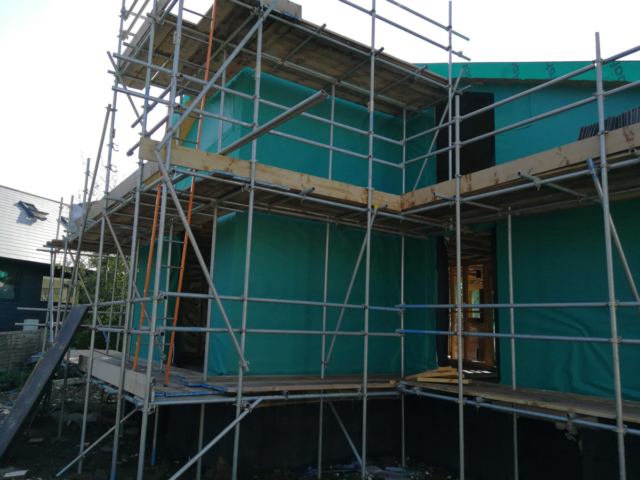 The low energy house will be constructed from SIPS panels with the Building Regs application for the house will be made in late 2017 with a proposed site start date of March 2018.